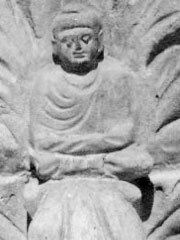 These accounts at least indicate that Indian religious men (Sramanas, to which the Buddhists belonged, as opposed to Hindu Brahmanas) were circulating in the Levant during the time of Jesus. «Among the Indians are those philosophers also who follow the precepts of Boutta, whom they honour as a god on account of his extraordinary sanctity.» (Clement of Alexandria «The Stromata, or Miscellanies» Book I, Chapter XV ). «Thus philosophy, a thing of the highest utility, flourished in antiquity among the barbarians, shedding its light over the nations. And afterwards it came to Greece. First in its ranks were the prophets of the Egyptians; and the Chaldeans among the Assyrians; and the Druids among the Gauls; and the Sramanas among the Bactrians («Σαρμαναίοι Βάκτρων»); and the philosophers of the Celts; and the Magi of the Persians, who foretold the Saviour’s birth, and came into the land of Judaea guided by a star. The Indian gymnosophists are also in the number, and the other barbarian philosophers. And of these there are two classes, some of them called Sramanas («Σαρμάναι»), and others Brahmins («Βραφμαναι»).» (Clement of Alexandria «The Stromata, or Miscellanies» ). The story of the birth of the Buddha was also known: a fragment of Archelaos of Carrha (278 CE) mentions the Buddha’s virgin-birth, and Saint Jerome (4th century CE) mentions the birth of the Buddha, who he says «was born from the side of a virgin». Queen Maya came to bear the Gautama Buddha by the intervention of the Tusita spirit of the Buddha. This is similar to Jesus being conceived in connection with the visitation of the Holy Spirit to the Virgin Mary. Early 3rd century–4th century Christian writers such as Hippolytus and Epiphanius write about a Scythianus, who visited India around 50 CE from where he brought «the doctrine of the Two Principles». According to these writers, Scythianus’ pupil Terebinthus presented himself as a «Buddha» («He called himself a Buddas» Isaiah ). Terebinthus went to Palestine and Judaea («becoming known and condemned» Isaia), and ultimately settled in Babylon, where he transmitted his teachings to Mani, thereby creating the foundation of Manichaeism. In the 3rd century, the Syrian writer and Christian Gnostic theologian Bar Daisan described his exchanges with the religious missions of holy men from India (Greek: Σαρμαναίοι, Sramanas), passing through Syria on their way to Elagabalus or another Severan dynasty Roman Emperor. His accounts were quoted by Porphyry (De abstin., iv, 17 ) and Stobaeus (Eccles., iii, 56, 141). Such exchanges, many more of which may have gone unrecorded, suggest that Buddhism may have had some influence on early Christianity: «Scholars have often considered the possibility that Buddhism influenced the early development of Christianity. They have drawn attention to many parallels concerning the births, lives, doctrines, and deaths of the Buddha and Jesus» (Bentley, «Old World Encounters»).